From in-ground swimming pools to Intex and wooden above-ground pools, we specialise in swimming pool construction and design. We offer a wide range of swimming pools and DIY pool kits, and have extensive experience in swimming pool design. Whether you’re looking to socialise or relax, we offer the perfect swimming pool to fit your needs and budget, from in-ground concrete pools to vinyl-liner pools, and much more. Whether it’s a small wooden pool for the grandchildren, or a large exercise pool, we offer a huge range of sizes and shapes of wooden swimming pools. Looking to spend more quality time with the family? Our swimming pools offer the perfect solution. Create your own personal garden of Eden with a natural swimming pool, and sink into heated, filtered water for ultimate wellness. Looking for your next DIY project? A swimming pool can be very rewarding to build, and we not only offer premium panel pool kits, but can guide and advise you all the way. From thermal insulation to water features such as fountains, mosaics, and waterfalls, we offer it all. Build the swimming pool of your dreams with Oasis Swimming Pools. 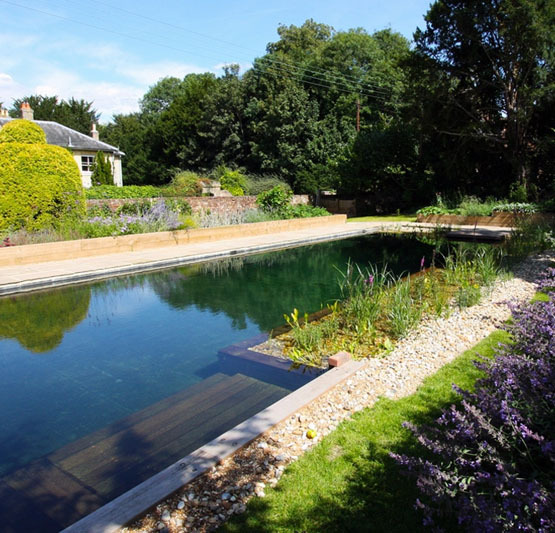 From gorgeous in-ground pools to natural saltwater pools, if you dream it, we can build it. If you’re looking for luxury in your own back garden, look no further. Oasis Swimming Pools (Kent) Ltd have been involved in the design and construction of swimming pools in Kent since the early 80s and have completed many swimming pool projects of all shapes and sizes throughout Kent and the South East of England, from painted in-ground swimming pools, to vinyl-liner pools. As SPATA-registered swimming pool builders, you can be assured of the best build quality as we work to the exacting standards set by SPATA in partnership with PA Hollingworth & Co, with whom we have successfully worked since we began in the industry. Whatever your requirements, whether it be an above ground pool, a beautifully landscaped natural pool, a classically-designed outdoor swimming pool or a bespoke indoor swimming paradise complete with climate control, Oasis can make it a reality. We will guide you through the design and engineering, local authority approvals (if required) and provide a fully specified and detailed quotation to realise your dreams. Want to holiday at home? Why wait... get in touch today and we’ll turn your dream into a reality. Are you confused about where to start? For more information, including pricing options, read our guide on choosing the right swimming pool, or speak to our friendly staff, who are on hand to discuss your exact requirements to help you find the best pool to fit your space, timeframe and budget. We can create your own personal swimming oasis to suit your budget. Our designers will visit your home to discuss further the many options and advise on where in your garden or around your home the swimming pool might best be placed. We can advise on Issues like budget restraints, the options for swimming pool construction and all the additional equipment that is available for you to add to your swimming pool. Contact our sales team now and “Holiday at home with an Oasis Swimming Pool”. Sometimes, due to space or budgetary restraints, an above ground pool is the best option, and you should contact us at Oasis Swimming Pools to discuss what is available. 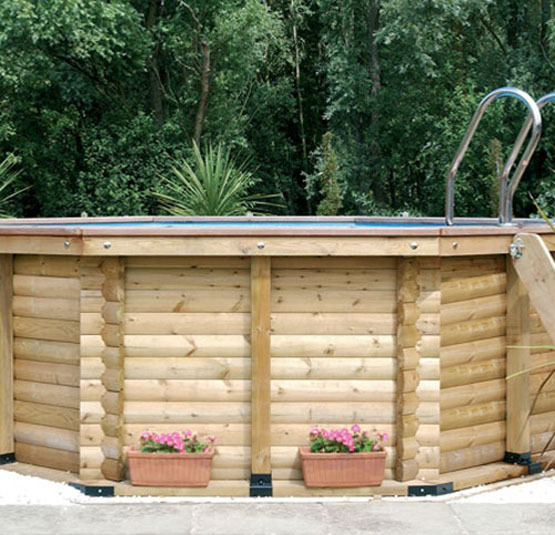 You really must see the fantastic range of wooden above ground swimming pools we stock for either DIY assembly or for our construction team to install on-site for you. Along with the wooden swimming pools there are many cheaper panel pools, Intex pools, or inflatable swimming pools available for you to consider. 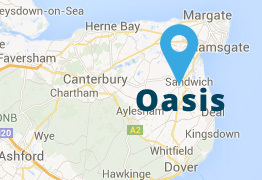 Contact Oasis Swimming Pools Kent now for more information on 01304 619 705. Make your dream a reality - a swimming pool is a fantastic source of family fun and health and wellbeing. Have a bespoke designed swimming pool built in your own garden by contacting us at Oasis Swimming Pools Kent now. We can build your dream pool in a variety of ways and for a range of costs to suit your requirements and budget. Get it right, and your pool will provide not only a social focus for all your family, but consider the health benefits it could also provide, perhaps even add exercise equipment such as counter current or swim jets to your swimming pool. Looking for Hot Tubs and Swim Spas? At Oasis Swimming Pools, we also offer a wide range of hot tubs. Our main brand, Vita Spa was first established in the USA in 1974, and have been producing high-quality, innovative hot tubs and swim spas for many years, being sold in UK over 20 years ago. Vita Spa Hot Tubs and Spas are built in the USA and feature long warranties, easy servicing, and high-quality build and materials. If you want to find out more about our range of hot tubs and swim spas, whether it be for relaxation, exercise or wellness, visit our sister site, Oasis Hot Tubs. Is your Pool Liner Damaged from Winter? Looking for Swimming Pool Supplies? Our sister site stocks all the cleaning products, accessories, and maintenance items you need for your pool. We are a SPATA-approved swimming pool designer and builder in Kent.